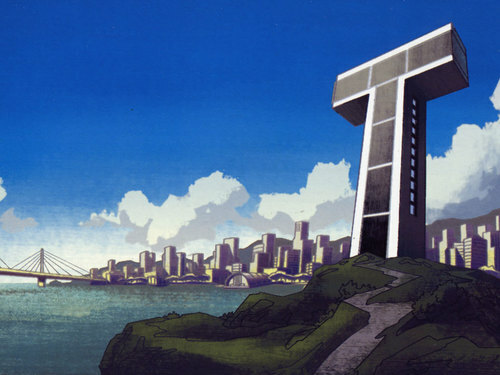 Teen Titans Tower. . HD Wallpaper and background images in the Los Jóvenes Titanes club tagged: teen titan titans tower. This Los Jóvenes Titanes wallpaper contains distrito de negocios, el centro, centro de negocios, and centro de la ciudad. There might also be rascacielos, reactor nuclear, reactor, and calzada.